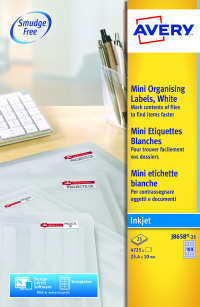 These Avery mini labels are ideal for use as return address labels, as well as marking and organising documents. For use with your inkjet printer, the labels feature jam free printing for reliable results every time. These mini labels measure 25.4 x 10mm. 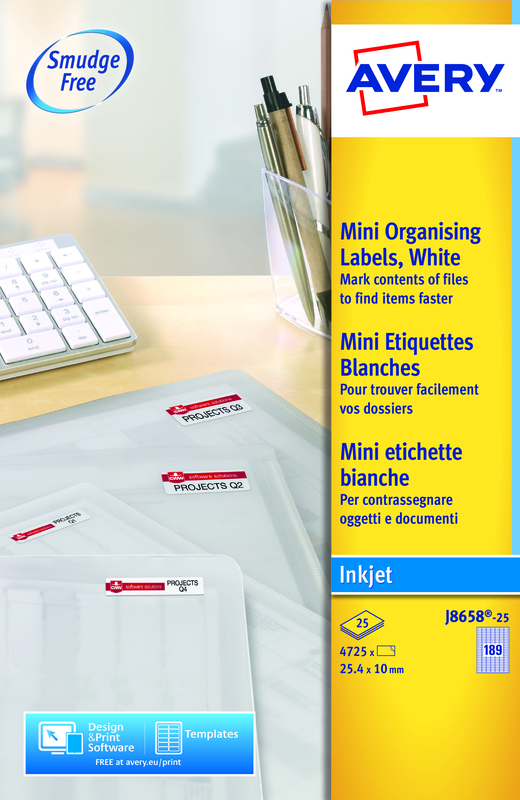 This pack contains 25 A4 sheets, with 189 white labels per sheet (4725 labels in total).